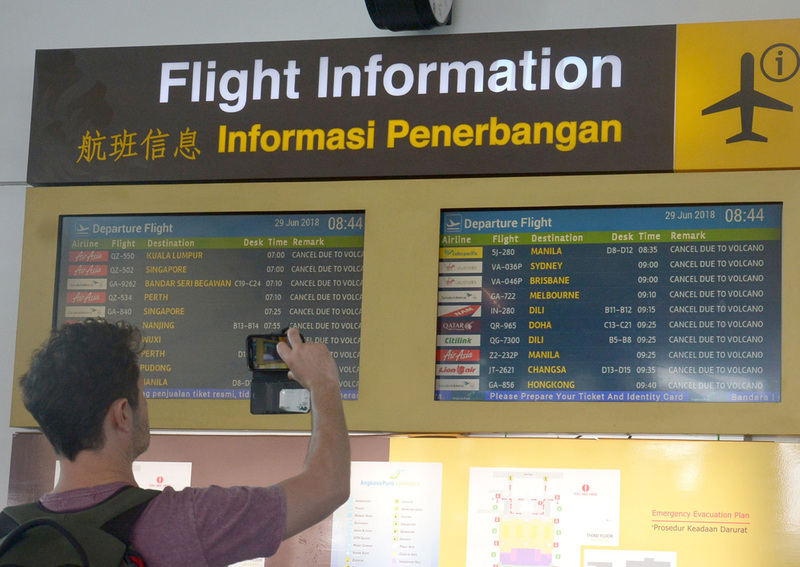 DENPASAR - Bali closed its international airport following a volcanic eruption on the Indonesian resort island that sent thick smoke and ash billowing 2,000 metres (6,500 feet) into the air, an official said on Friday (June 29). Ngurah Rai airport was due to be closed from 3am (1900 GMT; 3am Singapore time) to at least 7pm on Friday after a pilot report detected volcanic ash as high as 23,000 feet following Mount Agung's eruption on Thursday. "Based on the meteorology agency prediction, the volcanic ash will reach the airport on Friday morning," airport spokesman Yanus Suprayogi said in a statement, adding that a possible extension of the airport closure after 7pm would be reviewed. Despite the eruption, the volcano's status has not been raised by Indonesia's volcanology agency and remained at alert level, while the Volcano Observatory Notice For Aviation has issued an orange level warning. 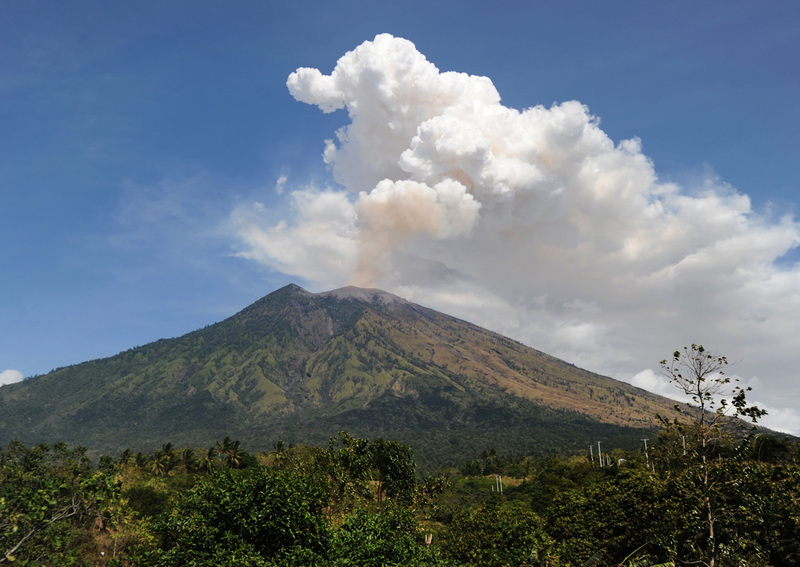 The volcano's eruption threat reared its head again in November, sparking travel chaos and pounding Bali's lucrative tourism industry and its wider economy. Agung's last major eruption in 1963 killed around 1,600 people.